Built for the urban adventures that come with city living, the ICANCHU CHUKKA is the most versatile pair of shoes you will own. 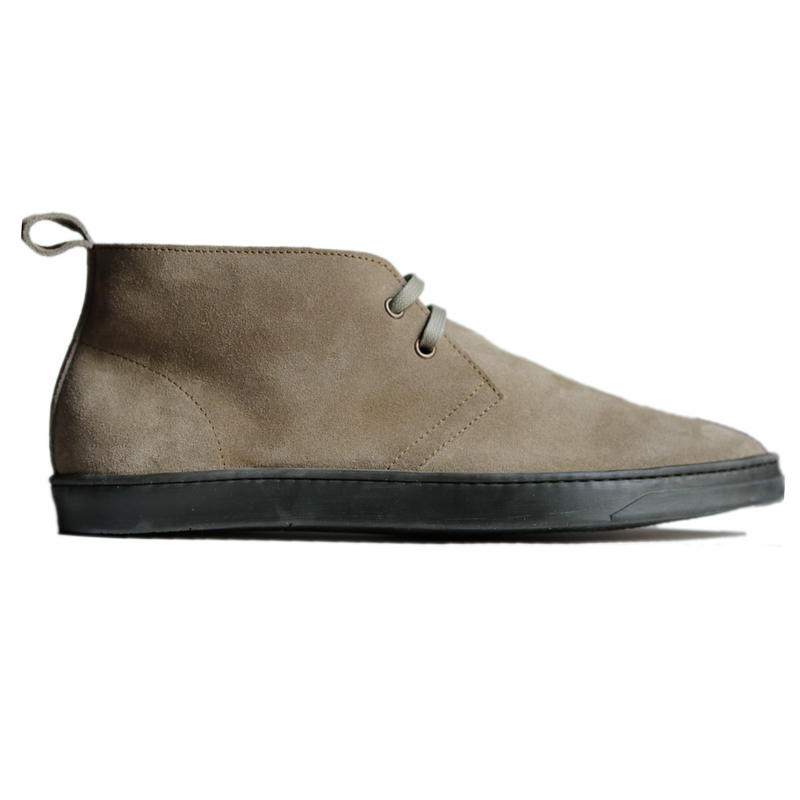 Handcrafted in a 3rd-generation family workshop in Italy, our CHUKKA in gray Italian suede features what are possibly the most comfortable soles known to man. Sustainably sourced, our soles are handmade in France using 100% natural virgin hevea milk. This technique dates back to the Aztecs, creating a sole like no other. During the baking and curing process, thousands of air bubbles naturally form, creating a lightweight, incomparable sole. Fit True to Size. If between sizes, round down.